Western Europe’s beautiful wine regions get plenty of attention, and there’s a good chance you recognize them by name: Champagne, Bordeaux, and Rioja just to name a few. But there’s a whole world of wine just waiting to be discovered further afield. While often overlooked, Eastern and Southern Europe’s wine regions are beautiful in their own right, brimming with history and rich winemaking traditions. They also tend to be much more affordable than in the west. The next time you’re looking for a wine adventure through Europe, get off the beaten path for some of the continent’s most underappreciated winemaking nations. Home to the spectacular Julian Alps and picture-perfect Lake Bled (which has some of the most enticing cream cakes), it’s not surprising that Slovenia also has some of the prettiest wine country in Europe. 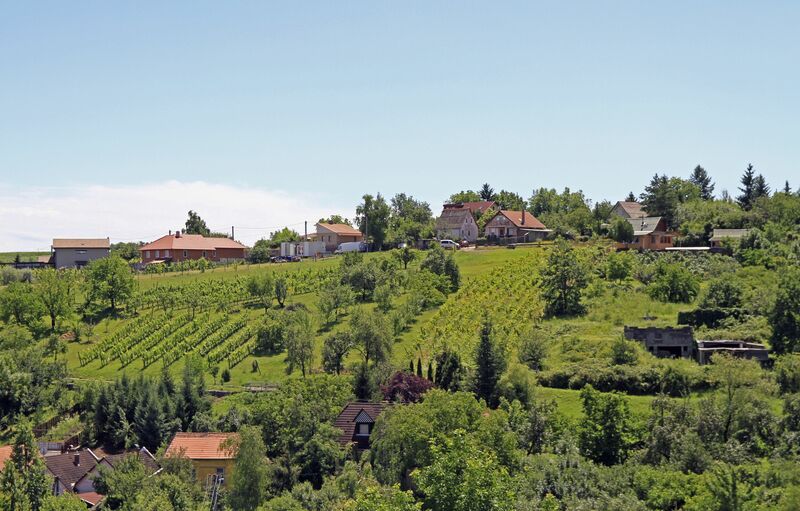 A must-see is Goriška Brda, a wine-producing region near the Italian border that bears more than a fleeting resemblance to Tuscany with its idyllic countryside, villas, and rows of vines on green rolling hills. Many familiar varieties like pinot grigio and merlot are grown in Goriška Brda, but it’s known primarily for the sumptuous and complex regional variety, rebula, as well as its innovative winemakers and experimentation with orange wines. For a special occasion, dine at nearby Hiša Franko, which has a well-curated wine list and kitchen led by the 2017 World’s Best Female Chef, Ana Roš. 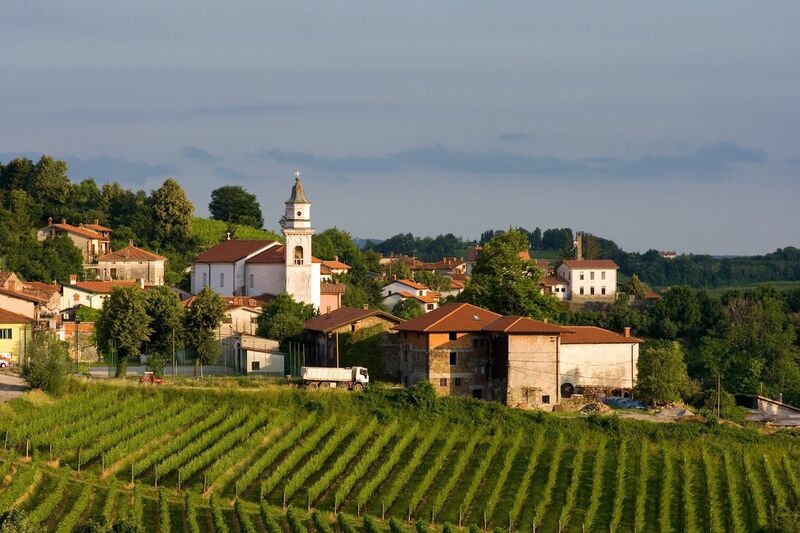 Take advantage of the fabulous hospitality in farm stays in the region, or base yourself in the village of Šmartno for the Brda and Vino festival. Held in late April, the festival is a great opportunity to taste the wines paired with regional dishes. 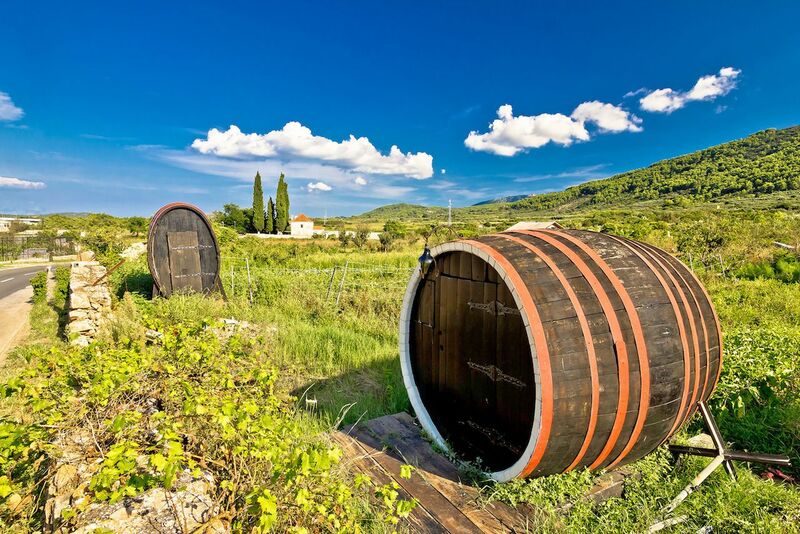 While Game of Thrones filming locations helped put Croatia on travelers’ radars, the country is relatively unknown for wine (despite the quantity consumed by Tyrian Lannister). Part of the reason why is because you’d be hard-pressed to find much of it available outside of the country. One of the better-known Croatian grape varieties is plavac mali, which is similar in taste to zinfandel with an ancestral varietal connection. This versatile red is arguably best tasted on the island of Hvar in the town of Jelsa on the north coast, where wineries like Tomič and Dubokovič are based. A ferry ride farther out into the Adriatic takes you to the island of Korčula, where you should try wine made with the indigenous pošip grape. Usually a crisp white with apple notes, this wine is a great pairing with seafood, which is bountiful on Korčula. If the delicious, albeit difficult-to-pronounce, wine is not tempting enough, Croatia’s other pleasures include a warm climate, beautiful beaches, picturesque fishing villages, and lovely cheese, olives, and seafood. Underrated both as a holiday destination and wine producing nation, Romania actually has one of the oldest winemaking traditions in the world, which is becoming more accessible thanks to the emerging enotourism industry in the country. Thanks to Dracula, wine is not the first thing people think of when they think of Transylvania, but the region’s hills hide one of the prettiest spots for wine production. Dobrogea may be the most attractive wine region in Eastern Europe, however, with its picturesque stretches by the Black Sea coastline. It’s home to the Danube Delta — a UNESCO-listed biosphere reserve — as well as numerous wineries producing familiar varieties like chardonnay and pinot noir. The quality of wine is improving all the time with the investment of EU funds, so visiting Romania provides one of the best value for money winery experiences right now. The Bucharest Wine Fair, held May 11-13, showcases the best the country has to offer. Hungary may already be on your wine radar for producing the world-class sweet wine tokaji. 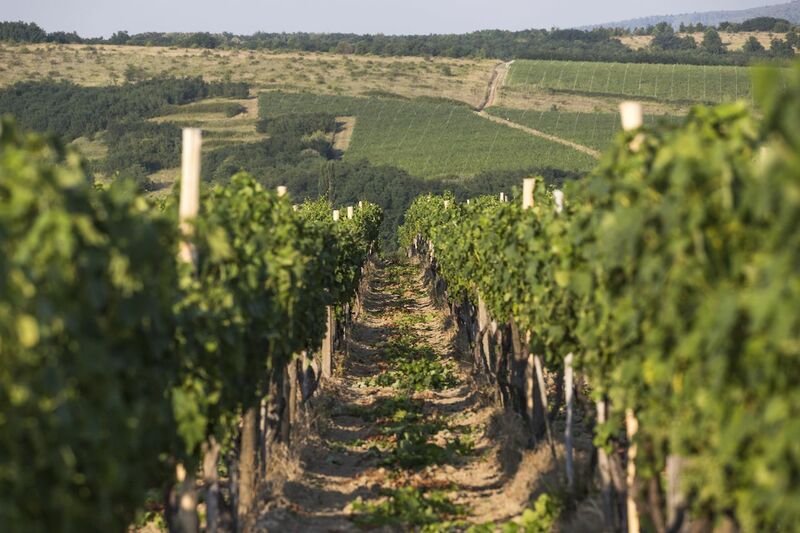 However, northeast of Budapest around the town of Eger lies a lesser-known wine region. The intriguingly named “Valley of the Beautiful Women” provides a real off-the-beaten-track wine tasting experience. The most popular wine from the region is a bold red known quite wonderfully as “Bull’s Blood,” or Egri Bikavér in Hungarian. According to legend, Hungarian soldiers were fiercely emboldened by their consumption of a mix of wine and bull’s blood. Today, Bull’s Blood is just a blend of three or more grapes. Sample it at one of the 200 cellars in the area, many of which are within walking distance of one another, or for a festival atmosphere attend the Bikavér Feast (July 5-8) to taste the wine paired with the region’s best dishes. Although Eger is quite close to Budapest, it’s well worth staying overnight to allow additional time for exploring its Baroque architecture and thermal pools.